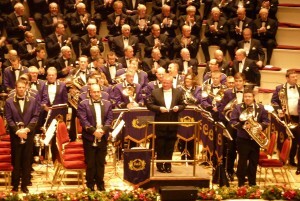 Very often the concert platform is shared with guest soloists, orchestras and other musical ensembles and in many cases, of course, a band. 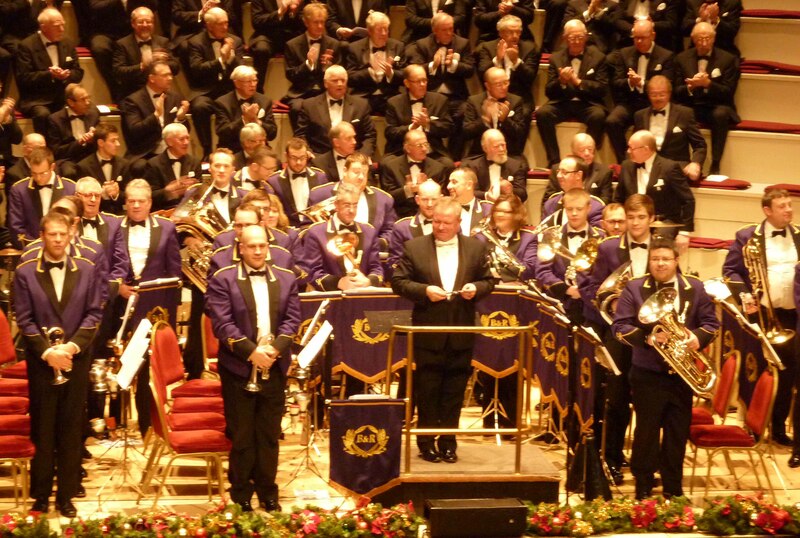 As we are based in West Yorkshire, where there is such a strong banding tradition, it is usually a brass band. This may be an ensemble from one of the local villages to bands of national and international repute and of premier award winning status. We are particularly excited about working with local youth talent. Such opportunities are frequent nowadays. As well as being hugely enjoyable for all concerned, it is a chance for us to encourage youngsters as they embark on their musical careers. 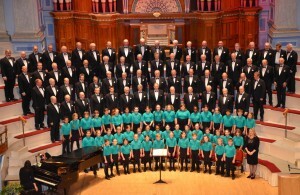 We are fortunate that our Musical Director ‘s day job is as Principal of the renowned Kirklees Music School – so opportunities for joint work with children’ groups arise quite often . Who knows what the kids make of us – but we love it! Our last performance with young singers was with the wonderful Lindley Junior School Choir, who are achieving national prominence for the excellence of their music. As the final of our recent joint concert, Colne Valley men and the Lindley children spread out all around the audience to sing the haunting, ‘Irish Blessing’. Magic! 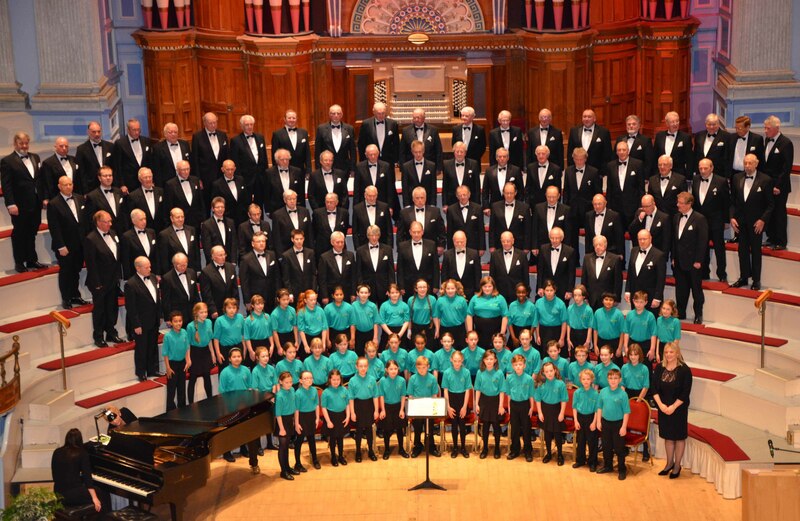 Sometimes we do perform alone, but even then we are fortunate to be able to call on a number of extremely capable vocal and instrumental soloists from within the choir and even a raconteur, all adding variety to an already varied musical programme.